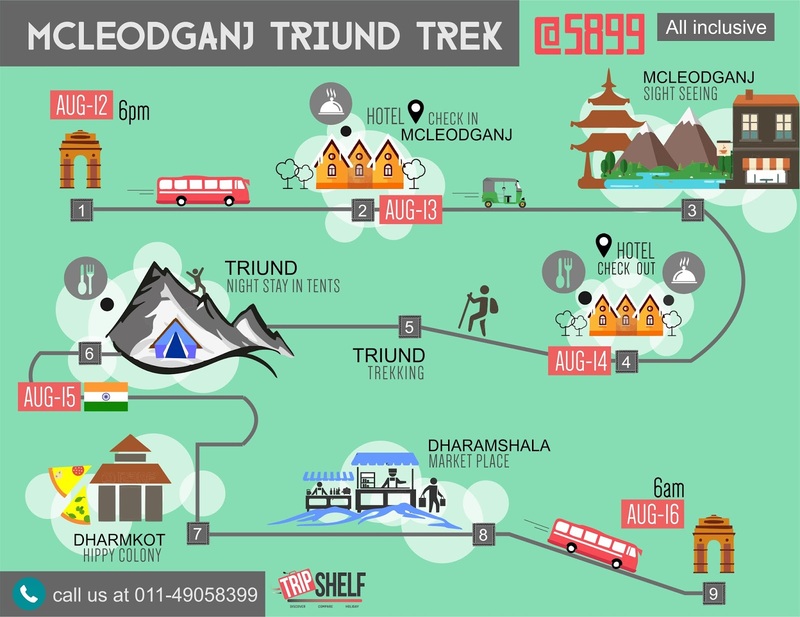 Tripshelf Flagship 15th August Weekend Holiday Package Trips! Wanderlust bite you big this 15th August holiday weekend? Looking for trips on Independence day to win back your freedom? Our team at Tripshelf has come up with some excellent trips from Delhi for the 15th August holiday weekend to ensure you and your friends or you and the family have an excellent weekend getaway from Delhi. 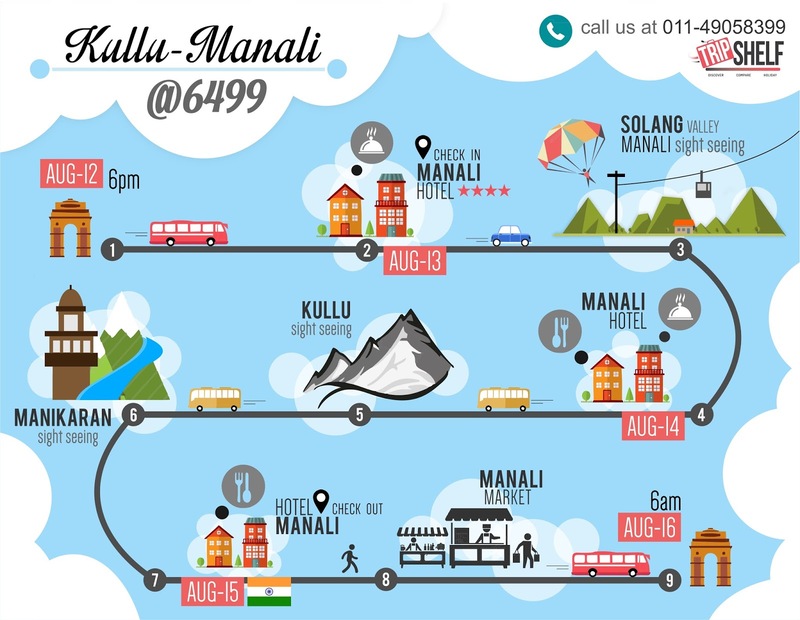 Manali 2 Nights 5 Star holiday! Book the Manali Weekend getaway for the 15th August Holiday at INR 6499 per person. Seats are running out for the 15th Aug Weekend Trips. Sleep under a carpet of stars when you head out for a weekend getaway to Mcleod Ganj. Trek up to the lush greenery of Triund. The little lanes and the winding alleyways will get you there in no time. Book the Mcleod Ganj Weekend getaway for the 15th August Holiday at INR 5899 per person. Seats are running out for the 15th Aug Weekend Trips. 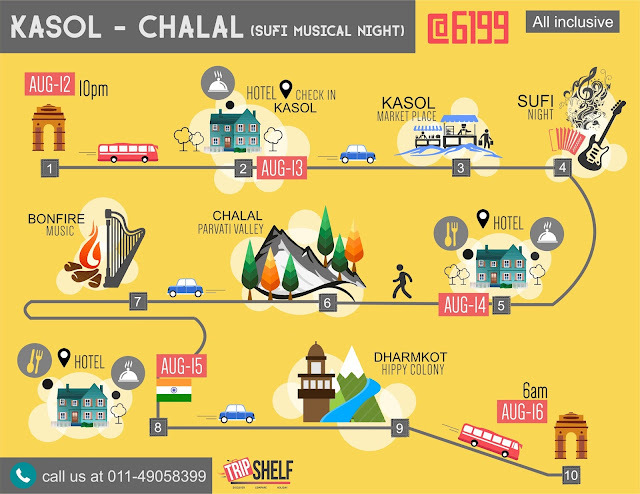 Kasol Chalal Trip for 2 Nights! Headed to Kasol? Here's a fun fact - Famously known as mini Israel, with a touch of local food habit and culture. The inhabitants of the village proclaim themselves as the descendants of the Aryans. Enjoy the Kasol Weekend Getaway holiday with Tripshelf! Book the Kasol Weekend getaway for the 15th August Holiday at INR 6199 per person on twin sharing. Seats are running out for the 15th Aug Weekend Trips. Not got your fill? Head to Tripshelf.com for the world's first 15th August weekend getaway sale! 10 Places To Visit From Mumbai This Winters! 10 Places to Visit from Delhi this Winter!